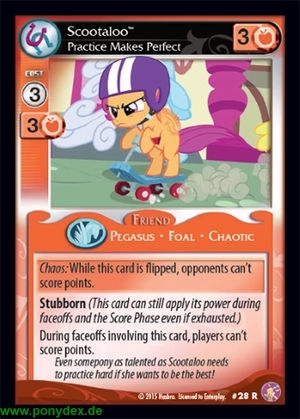 While this card is flipped, opponents can't score points. During faceoffs involving this card, players can't score points. Even somepony as talanted as Scootaloo needs to practice hard if she wants to be the best!